Discussion in 'Guides' started by Gix, Apr 16, 2016. Step 1. Click the vote banner! Step 2. 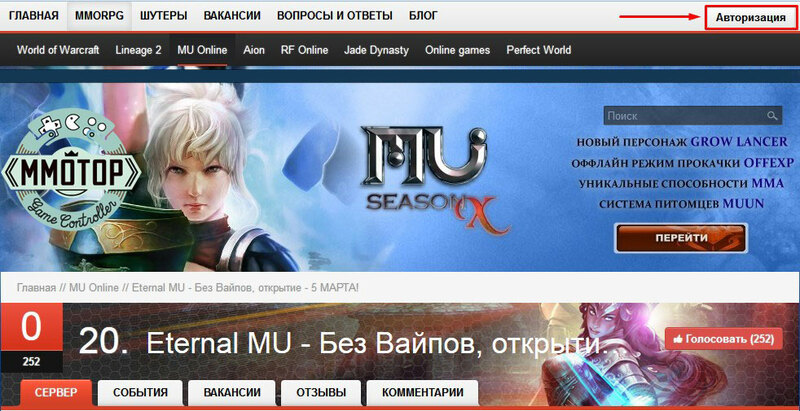 You will be redirected to our page at MMOTOP rating website and click the authorization button which is to the top right. Step 3. Log in using your facebook.com or vk.com account. If you don't have any, click HERE for the registration guide. Step 4. Find EternalMu in the rating list (or simply click the banner once more) and click the 'Vote for' button. Step 5. Drag the slider to the right using your mouse. Just as it's the iOS slider. Step 6. Enter your character's name in appropriate field and pass a simple human test below. Once done, click the big red button. Step 7. If you don't see the credits being added instantly you need to wait a couple hours for the vote to be validated. 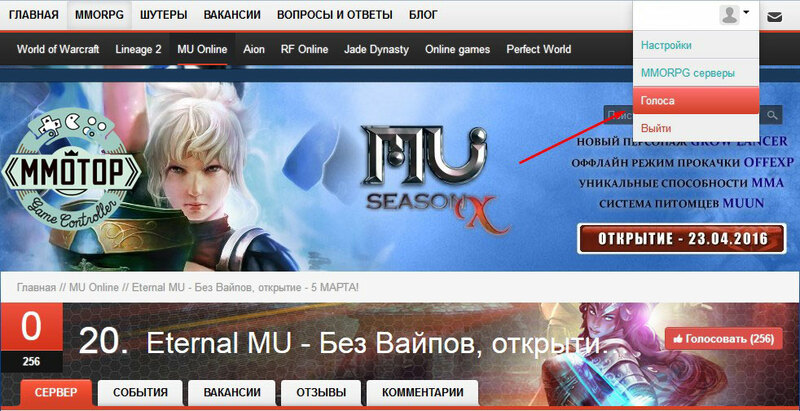 To check your votes on the MMOTOP site click the button pointed by the arrow.